Himachal Pradesh Election Watch (HPEW) Analysis of Criminal, Financial and other background details of the newly elected MLAs of Himachal Pradesh Assembly elections 2012. HPEW also compiled the detail of asset increase of newly elected MLAs re-contesting Himachal Pradesh Assembly Elections 2012. In its report Himachal Pradesh Election Watch has analyzed affidavits of all 68 newly elected MLAs in Himachal Pradesh Legislative Assembly Elections 2012. Out of the 68 newly elected MLAs, 14 MLAs or 21% have declared criminal cases against them. In 2007 assembly elections, 26 MLAs or 39% MLAs declared criminal cases against themselves. HPEW found that amongst all the major parties, INC has 10 (28%) MLAs out of 36 whereas BJP has 3 (12%) out of 26 MLAs who have declared criminal cases against themselves. MLAs with Serious Criminal Cases: Out of these 68 MLA with declared criminal cases, 5 have declared serious criminal cases like kidnapping or abducting, abetment of suicide, forgery etc. INC has 3 and BJP has 2 such MLAs. 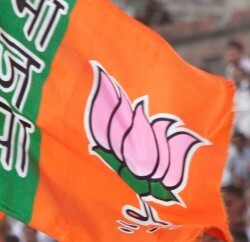 The top 3 newly elected MLAs who have declared serious criminal cases are Vinay Kumar of INC from Sri Renukaji constituency with charges of abetment of suicide, Ravinder Singh of BJP from Dehra constituency with charges related to kidnapping and Anirudh Singh of INC from Kasumpti constituency with charges related to theft. MLAs against whom charges have been framed: Out of these 68 MLAs with declared criminal cases, charges have been framed against 7 MLAs for various crimes. 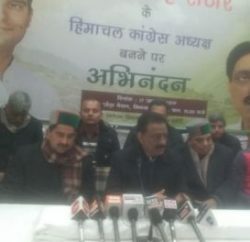 MLAs with cases under Prevention of Corruption Act: 2 MLAs have declared that they have cases registered against them under the “Prevention of Corruption Act”, namely Virbhadra Singh of INC from Shimla Rural constituency and Anirudh Singh of INC from Kasumpti. Crorepati MLAs: 44 (65%) MLAs out of 68 in the newly elected Himachal Pradesh Assembly are crorepatis. INC has 26 (72%) crorepati MLAs out of 36 and BJP has 13 (50%) crorepati MLAs out of 26. In 2007 assembly elections, 20 or 29% MLAs were crorepatis. Palampur MLA Brij Behari Lal Butail, tops the list with the assets worth Rs. 169 crores and followed by Balbir Singh Verma an IND from Chopal with assets of Rs. 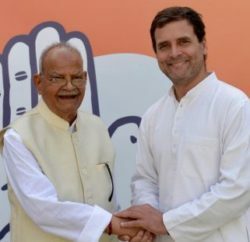 41 Crores, Ram Kumar of INC from Doon constituency with assets of Rs. 36 crores, Virbhadra Singh of INC from Shimla Rural constituency with assets worth Rs. 33 crores. BJP MLA Rajiv Bindal (14th in the list of crorepati MLAs) from Nahan constituency has declared assets of more than Rs. 6 crores. HPEW claimed that total of 11 (17%) MLAs out of 68 have declared assets less than Rs. 50 Lakhs. Yadvinder Goma of INC from Jaisinghpur (SC) constituency has declared the lowest assets of Rs. 5.2 Lakhs followed by Hans Raj of BJP from Churah(SC) constituency with assets of Rs. 7 Lakhs and Bikram Singh of BJP from Bhattiyat constituency with assets with Rs. 7.09 Lakhs. On the Liability front Balbir Singh Verma, an IND MLA from Chopal who has declared liabilities worth Rs. 11.42 Crores tops the list and followed by G.S. Bali of INC from Nagrota constituency with liabilities worth Rs. 9.96 Crores and Rakesh Kalia an INC MLA from Gagret constituency with liabilities worth Rs. 2.92 Crores. Report revealed that total of 10 MLAs has declared liabilities in excess of Rs. 50 Lakhs. MLAs who have declared highest income in their ITRs: Chopal MLA Balbir Singh Verma has declared the maximum income of Rs. 1.41 crores in his income tax returns (ITR) for the financial year 2011-12, followed by G.S. Bali of INC from Nagrota, with income of Rs. 1.12 crores for the financial year 2011-12, Virbhadra Singh of INC from Shimla Rural, with income of Rs. 60.75 lakhs for the financial year 2011-12. From BJP, Mahender Singh from Dharampur constituency has declared income of Rs. 30.76 Lakhs for the financial year 2011-12. However 4 out of 68 (6%) MLAs have not declared their income tax returns (ITR). There are also politicians who have declared maximum assets but haven’t filed ITR are Khub Ram of INC MLA from Anni (SC) constituency with assets of Rs. 60 Lakhs, Sanjay Rattan of INC from Jawalamukhi constituency with declared assets of Rs. 49.5 Lakhs, Bikram Singh of BJP from Bhattiyat constituency with declared assets of Rs. 7.09 Lakhs and Hans Raj of BJP MLA from Churah(SC) constituency with declared assets of Rs. 7 Lakhs. On the Educational Background, Himachal Pradesh assembly is looking good as 82% MLAs (56 out of 68) have a graduate or a higher educational qualification. However Women’s representation is worrying factors as there are only 3 out of 68 (4%) newly elected MLAs are women in the house. In 2007, 5 or 7% MLAs were women. Himachal Assembly is comparatively young as there are only 18 MLAs out of total 68 are more than 61 years of age.